Working with Katello – part 6. We will configure OpenSCAP plugin to receive automated vulnerability assessment and security compliance audits from Foreman hosts. The Security Content Automation Protocol (SCAP) enables the definition of configuration and security policies, also the means of auditing for compliance with those policies. In Foreman, SCAP is implemented with the tools provided by the OpenSCAP project. The OpenSCAP plugin enables Foreman to receive automated vulnerability assessment and security compliance audits from Foreman hosts. 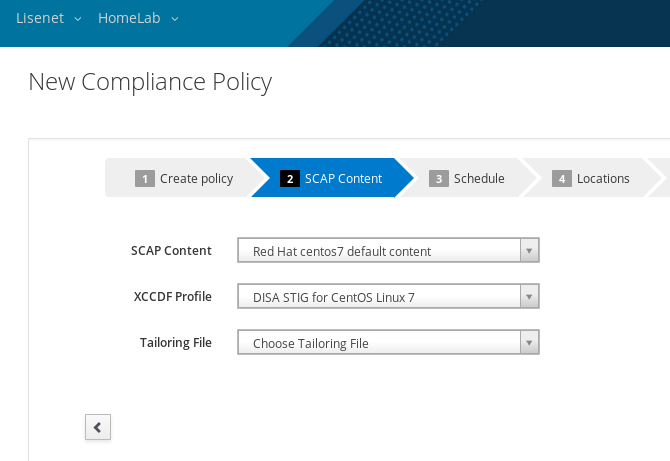 We can upload SCAP compliance contents, create compliance policies out of them and assign the policies to hosts or hostgroups. Detailed installation instructions can be found on the Foreman website. See references for a weblink. If you want to, you can modify /etc/foreman-proxy/settings.d/openscap.yml with custom settings. After installing smart_proxy_openscap on the proxy, refresh features of the proxy so it will register with OpenSCAP feature on the Foreman. 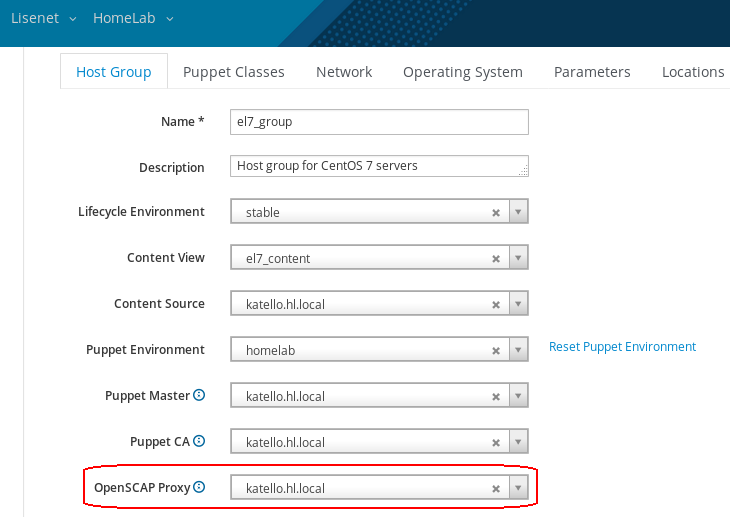 This puppet module will automatically install foreman_scap_client and configure the client with all parameters needed for the operation of foreman_scap_client. Starting with puppet-foreman_scap_client 0.3.14 shipped with Foreman 1.14 the Foreman plugins yum repo can be set up if you define at least Foreman’s major release version. This repository is needed to install foreman_scap_client, which will fail otherwise. Note that packages are not signed. --description "Publishing foreman plugins 1.17"
At this point the new repository should be available to clients. This following will search for scap-security-guide SCAP contents and create SCAP content on the Foreman. Name of the policy (e.g. homelab). Choose which SCAP content and SCAP profile to apply (e.g. STIG). Choose schedule when to run this policy (e.g. weekly on Sundays). Select which location / organization thes policy belongs to (e.g. Lisenet / HomeLab). Choose which hostgroups you wish to pply this policy to (e.g. el7_group). This will assign the policy to the specified hostgroup. All hosts which belong to the hostgroup will automatically be assigned to the policy, and the Puppet class will be included. Make sure that all hosts that are assigned to the hostgroup have OpenSCAP Proxy assigned. 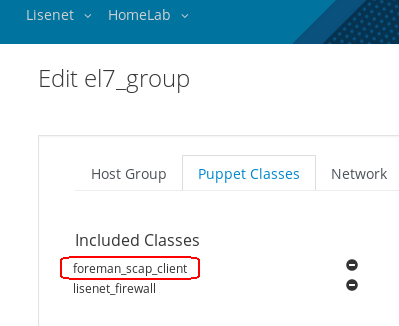 Hosts will get foreman_scap_client automatically installed and configured on the next Puppet agent run. There will be a cron file created /etc/cron.d/foreman_scap_client_cron that runs according to the schedule that was chosen when creating the policy. Default SCAP policies may not suit your needs and can therefore be edited. SCAP Workbench is a graphical utility that offers an easy way of doing that. 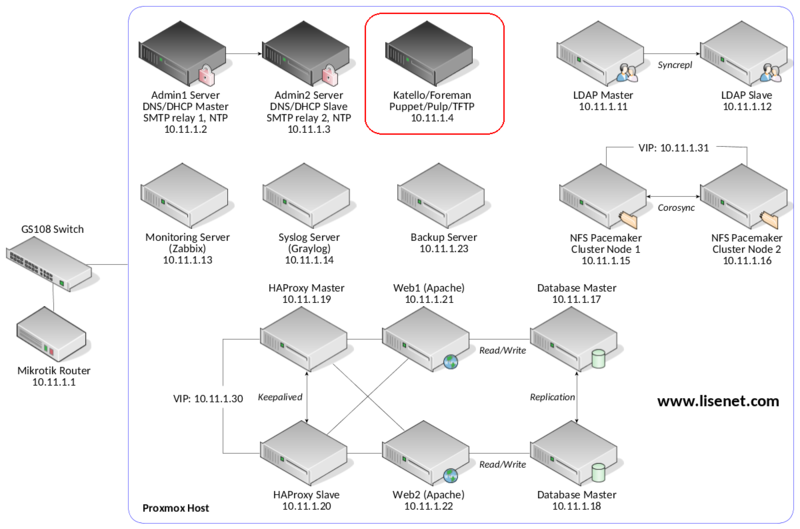 This entry was posted in Linux and tagged CentOS, Foreman, homelab, Katello, OpenSCAP, Red Hat Satellite 6. Bookmark the permalink. If you notice any errors, please contact us.